Please contact your Congressional Reps at 202-224-3121 to ask them to make the #NoNRAMoney pledge. 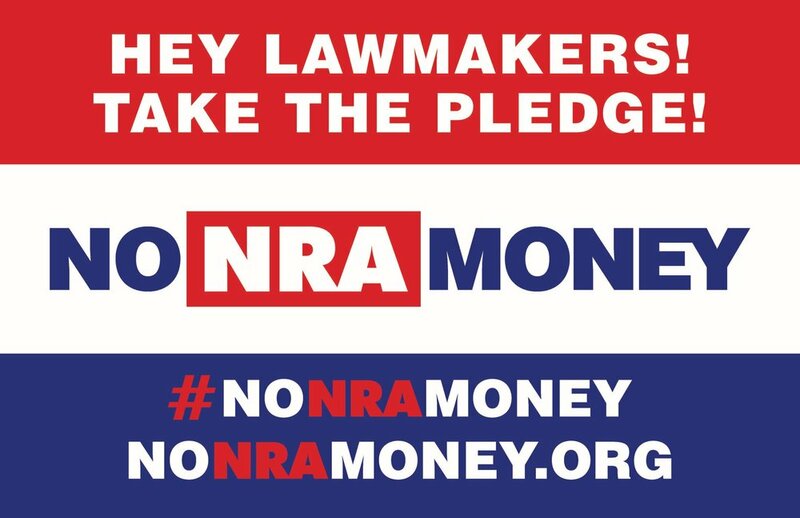 Newtown Action Alliance is one of the partners of #NoNRAMoney campaign, which was created for the sole purpose of telling lawmakers and candidates they must reject NRA funding or they don't get our votes. 1. Making a voter pledge HERE to not vote for any candidates who take money from the NRA. 2. Asking all your local, state and federal elected representatives to make the #NoNRAMoney candidate pledge HERE.